Attention Finger Lakes wine PR & marketing professionals: This is an open invitation to you to our next meeting on Thursday, 12/10/09. Hope you can join us! 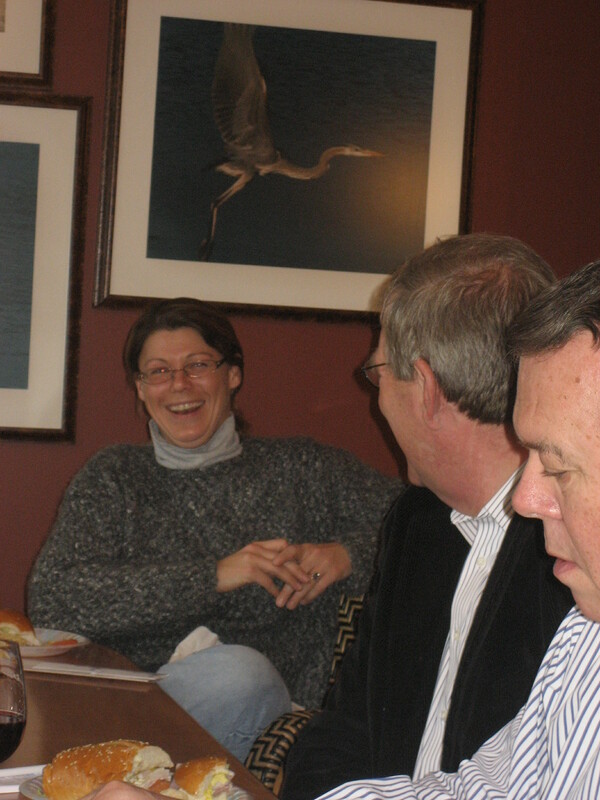 UPDATE 12/7/09: Meeting location is at Ravine’s Wine Cellars, 14630 State Route 54, Hammondsport, NY 14830. Please RSVP to melissa (dot) dobson (at) avantguild.com before 12:00 noon tomorrow if you’ll be attending. For those who haven’t discovered us, the Academy of Wine Communications is a group of wine communications pros based in Napa, CA (history http://academyofwine.org/awc/about/history/) with a developing chapter here in the Finger Lakes. Our goal is to bring wine communications professionals together to share and discuss hot topics and the latest developments in the wine PR & marketing industry. Additionally, the AWC strives to provide resources to wine writers and bloggers. We held our first small info meeting last month and now moving forward with our next meeting. We’re planning monthly meetings through April and then will reassess meeting frequency during busy season. The next meeting of the Academy of Wine Communications-Finger Lakes Chapter is set for next Thursday, 12/10 from 12-1:30, meeting location is still TBD. If you have or can suggest a winery (preferred) or restaurant (that serves a lot of local wines of course!) where we can either bring in our own lunches or order lunch, please reply back ASAP. Also, if you plan to attend, please email me back by Monday to RSVP so that I can plan for the appropriate venue. Keeping this in mind, have you adjusted your PR, marketing and social media efforts to speak to these discerning consumers? I realize that these types of individualized, personal interactions can be very time consuming. However, a combination of recurring touches can help your winery to connect with its enthusiasts, their friends and your new customers. Make your campaigns about them, not all about you. Thinking about a new event concept or wine club offering? Ask your customers for feedback, what they like about your current events and wine club, what they would like that’s different, what a comfortable price point is. Let them get to know your people, your winery dog, your wine club members, that special something that you have to offer that sets you apart from the winery up the road. And of course, talk about the behind-the-scenes stuff that goes on daily at your winery,encourage and answer questions on your Facebook fan page, become a resource of wine information. The dumbing down/dunderheading of wine marketing makes me crazy. Want to see a vintner that really gets wine marketing? Check out Hafner Vineyard (http://www.hafnervineyard.com/). I was introduced to their wines several years ago by a direct-mail piece that was so unforced and so evocative of their product that I bought. And bought. And bought. I have become a raging fan. The product is wonderful, but the personal touch to marketing really sets them apart. They understand that wine is a personal experience, and that they are in the enjoyment business. They do everything possible to make obtaining and enjoying their wines a special, personal experience. Does your website, email and newsletter copy come from an authentic voice or does it sound stiff and corporate-y? Does the “About Us” page on your website tell your personal story and philosophy and does it have pictures of the people and maybe the four-leggers that are the core of your winery brand? How does each “touch” feel to your customer? Will they want to come back to you for more of that feeling and share your story with their friends and family while opening a bottle of your wine? 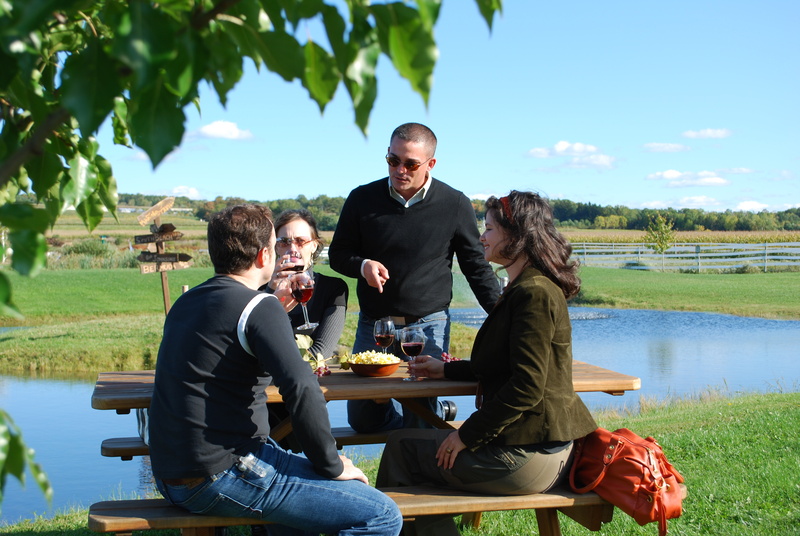 I wholeheartedly feel that here in the Finger Lakes, the people here, the experience provided, the beauty of the region, the family-owned wineries that feel like home are also very important to many wine tourists as they carefully weigh out where and with whom they’ll spend their money in challenging economic conditions. What brings your best customers back to see you and purchase wine from you regularly? What are you doing to emphasize those qualities?